UPDATE: Congrats to @tastyvoice on twitter, Melanie Haynes. She is a voice actor and actress and has been at it for over 20 years. Thanks to everyone for entering and for supporting our good friend Joe Cipriano. Be sure to click the links below to check out his book. I think there is a holiday coming so perhaps this would make for a great gift?? 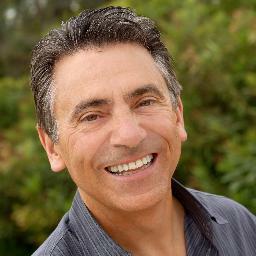 My old friend Joe Cipriano is one of the most generous Voice Talents in the business. He is ALWAYS ready to help out a young up-and-comer (like me) and is very active in the community. A lot of people know (some might not) that he had a great career live on the radio back in the day. Joe has been on my list of Interviewees for years actually. BUT as mentioned he is so generous with his time that he has done plenty of interviews over the years, so I was waiting for a REALLY cool time to conduct one. 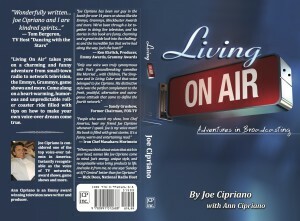 Well, the release of his brand new book, Living On Air: Adventures in Broadcasting, seems perfect. Before that interview goes down in December, today he has been so kind as to offer up a SIGNED COPY of the book! How do you win? Simple! You have until the end of Thanksgiving weekend to enter. Winner announced Monday December 2nd!